Your baby will be the best yoga partner you have ever had, teaching you more about your body than you will ever have imagined. Pregnancy is one of the most incredible moments in a persons life. Yoga can help support your ever changing body during this time by helping to keep you mobile, building strength and endurance, relieving pain and discomfort, giving you time to connect to yourself and your baby and can help create a toolbox of poses, relaxation and breathing techniques to use in labour. I practiced yoga all throughout my pregnancy and unconsciously ended up using yoga poses though all stages of my contractions. I credit my practice with having a fairly smooth pregnancy and helping me to have an easeful, although eventful birth (my little one was born in the back of a NYC Taxi). Ustrasana – Camel pose with blocks. Although backbends are generally avoided during a pre-natal and early post-natal practice small bends in the upper thoracic help to keep the shoulders and chest open. 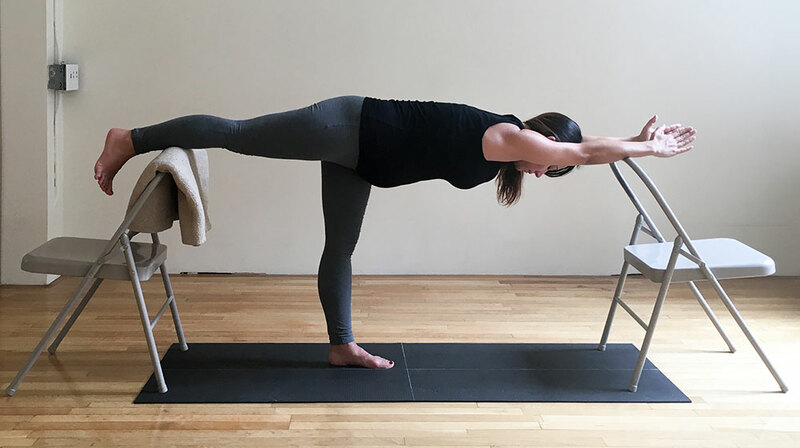 Unless you are an experienced practitioner inversions are generally avoided in pre-natal practice but this forward leaning inversion can have benefits including getting the baby in the right position or helping to turn a breech baby. Virabhadrasana III – Warrior III with chairs. 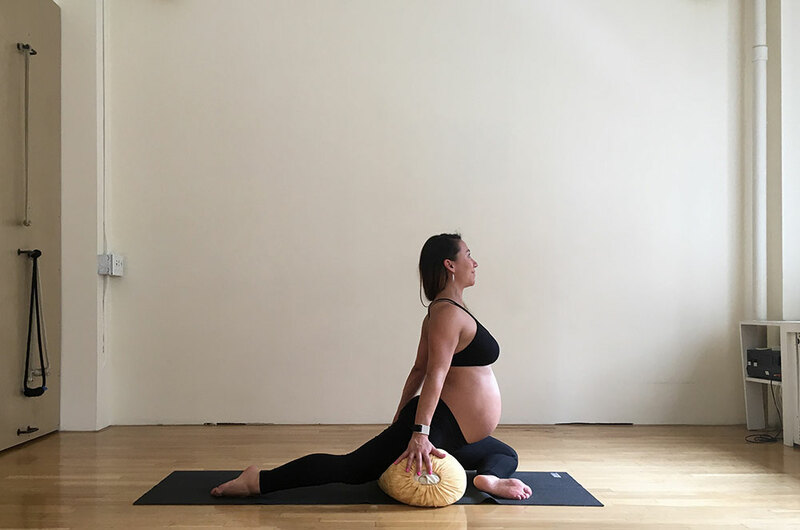 Balancing poses can be modified in a pre-natal practice using various props. Pigeon Pose with Bolster. A great supported variation to open the hips. Restorative poses are a key aspect of a pre and post natal routine. Finding ways to calm the nervous system and relax the muscles of your body will help you to have an easeful pregnancy.